The Los Angeles LGBT Center is honoring the big names at the upcoming Gala Vanguard Awards. 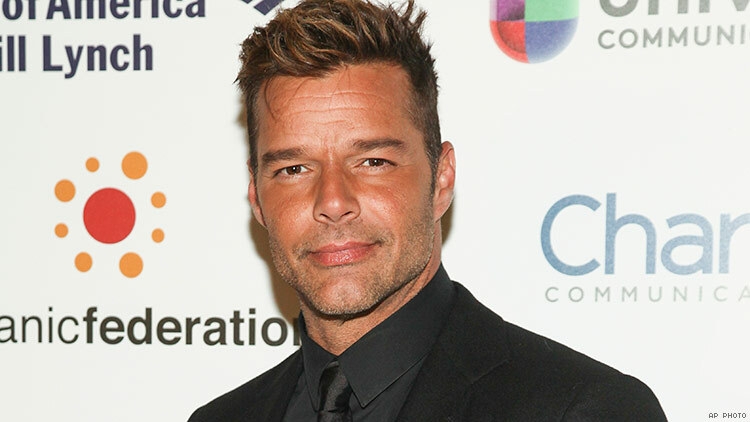 After scoring an Emmy nomination for The Assassination of Gianni Versace: American Crime Story, Ricky Martin will be honored by the Los Angeles LGBT Center at the upcoming Gala Vanguard Awards along with TV writer-producer Greg Berlanti and his producer husband, former soccer star Robbie Rogers, reports Variety. Philanthropist Ariadne Getty will also be celebrated for her contributions to the LGBTQ community at the annual event. Previous Vanguard Award recipients iunclude Elton John, Miley Cyrus, Jane Fonda, Wanda Sykes, and George and Brad Takei. This year's gala will take place September 22 at the Beverly Hilton Hotel. The event is being cochaired by former HBO executive Michael Lombardo and Kathy Kloves. Audi of America and Wells Fargo have signed on as sponsors.